Anne is a chatterbox with a runaway imagination and a talent for getting into scrapes. 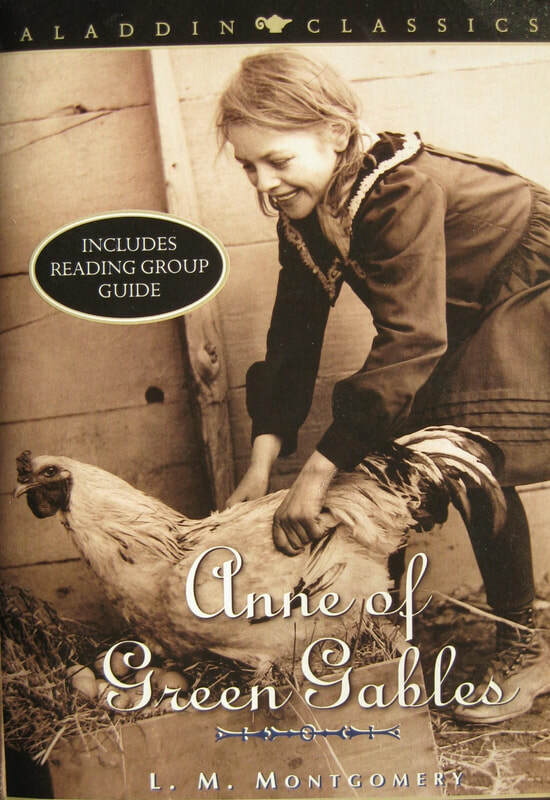 Anne leaves an orphanage to live with Matthew and Marilla, who are quiet and (in Marilla's case, at least) stern. The book's conflict is about whether Anne will fit in to the small-town neighborhood, or whether she will inspire the people in it to change. The series continues with Anne of Avonlea. In that book, Anne grows up and begins to teach, still dealing with various catastrophes and clinging to her romantic standards and the power of imagination through it all. In the third book, Anne of the Island, Anne travels to study at a university, and develops her understanding of herself and the world as she rooms with friends, dates various suitors, and pursues excellence in academics. Anne of Windy Poplars, Anne's House of Dreams, Anne of Ingleside, Rainbow Valley, and Rilla of Ingleside are other books in this series. This is one of the most enduringly popular books for children, in no small part because Anne is not what Matthew and Marilla expect. It's an excellent study of human nature and how people change each other, and Anne represents a character who is always trying to do good things and sometimes making a mess of them. The books are somewhat long, and the vocabulary may challenge middle grade readers, but those who aren't intimidated by the length will find a character whose determination and optimism are appealing, even if the setting is completely removed from the reader's experiences. "Well, anyway, when I am grown up, I'm always going to talk to little girls as if they were, too, and I'll never laugh when they use big words. I know from sorrowful experience how much that hurts one's feelings."